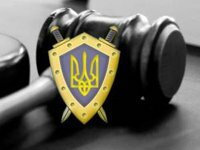 Indictments against three members of the Berkut special police unit, who are charged with the murder of 48 Euromaidan activists and inflicting gunshot wounds on 85 protesters, have been sent to court, Head of the Special Investigations Directorate of the Main Investigation Department of the Prosecutor General's Office of Ukraine Serhiy Horbatiuk has said. "Yesterday, the court sent the indictment on suspicion of three Berkut officers - two soldiers and the deputy commander of the regiment," Horbatiuk said at a briefing in Kyiv on Wednesday. According to him, they are charged with murder of 48 activists of Maidan on February 20, 2014 and wounding 85 protesters from sniper rifles.